February 11 is the 42nd day of the year in the Gregorian calendar.There are 323 days remaining until the end of the year(324 in leap years). 1906 – Pope Pius X publishes the encyclical Vehementer Nos . 1938 – BBC Television produces the world's first ever science fiction television program, an adaptation of a section of the Karel Čapek play R.U.R. , that coined the term "robot". The year 660 BC was a year of the pre-Julian Roman calendar. In the Roman Empire, it was known as year 94 Ab urbe condita. The denomination 660 BC for this year has been used since the early medieval period, when the Anno Domini calendar era became the prevalent method in Europe for naming years. Emperor Jimmu was the first Emperor of Japan, according to legend. 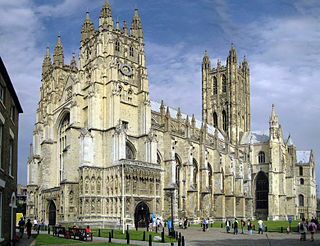 His accession is traditionally dated as 660 BC. According to Japanese mythology, he is a descendant of the sun goddess Amaterasu, through her grandson Ninigi, as well as a descendant of the storm god Susanoo. He launched a military expedition from Hyuga near the Seto Inland Sea, captured Yamato, and established this as his center of power. In modern Japan, Jimmu's accession is marked as National Foundation Day on February 11. AD 55 (LV) was a common year starting on Wednesday of the Julian calendar. At the time, it was known as the Year of the Consulship of Caesar and Vetus. The denomination AD 55 for this year has been used since the early medieval period, when the Anno Domini calendar era became the prevalent method in Europe for naming years. Otto III, a member of the Wittelsbach dynasty, was the Duke of Lower Bavaria from 1290 to 1312 and the King of Hungary and Croatia between 1305 and 1307. His reign in Hungary was disputed by Charles Robert of the Angevin dynasty. Year 1380 (MCCCLXXX) was a leap year starting on Sunday of the Julian calendar. Tiberius Claudius Caesar Britannicus, usually called Britannicus, was the son of Roman emperor Claudius and his third wife Valeria Messalina. For a time he was considered his father's heir, but that changed after his mother's downfall in 48, when it was revealed she had engaged in a bigamous marriage without Claudius' knowledge. The next year, his father married Agrippina the Younger, Claudius' fourth and final marriage. Their marriage was followed by the adoption of Agrippina's son, Lucius Domitius, whose name became Nero as a result. His step-brother would later be married to his sister Octavia, and soon eclipsed him as Claudius' heir. 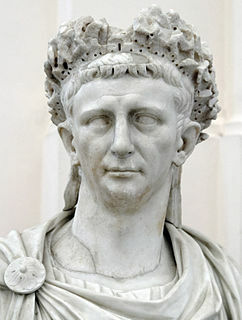 Following his father's death in October 54, Nero became emperor. The sudden death of Britannicus shortly before his fourteenth birthday is reported by all extant sources as a poisoning on Nero's orders—as Claudius' natural son, he represented a threat to Nero's claim to the throne. 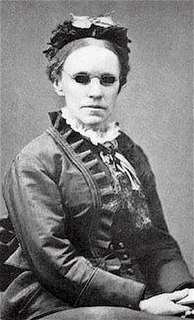 Frances Jane van Alstyne, more commonly known as Fanny Crosby, was an American mission worker, poet, lyricist, and composer. She was one of the most prolific hymnists in history, writing more than 8,000 hymns and gospel songs, with more than 100 million copies printed, despite being blind from shortly after birth. She is also known for her teaching and her rescue mission work. By the end of the 19th century, she was a household name. Saint Gobnait, also known as Gobnat or Mo Gobnat or Abigail or Deborah, is the name of a medieval, female Irish saint whose church was Móin Mór, later Bairnech, in the village of Ballyvourney, County Cork in Ireland. She was associated with the Múscraige and her church and nunnery lay on the borders between the Múscraige Mittine and Eóganacht Locha Léin. Her feast day is 11 February. Blaise, was a physician, and bishop of Sebastea in historical Armenia. According to the Acta Sanctorum, he was martyred by being beaten, attacked with iron combs, and beheaded. He is the patron saint of wool combers. In the Latin Church his feast falls on 3 February, in the Eastern Churches on 11 February. Cædmon is the earliest English (Northumbrian) poet whose name is known. An Anglo-Saxon who cared for the animals at the double monastery of Streonæshalch during the abbacy (657–680) of St. Hilda (614–680), he was originally ignorant of "the art of song" but learned to compose one night in the course of a dream, according to the 8th-century historian Bede. He later became a zealous monk and an accomplished and inspirational Christian poet. ↑ "Dansk Kvindebiografisk Leksikon - Ellen Broe". 2007-07-08. Archived from the original on July 8, 2007. Retrieved 2017-10-24. ↑ "Jonathan Tah - Abwehr". Bayer 04 Leverkusen. Retrieved 10 February 2019. ↑ Chatwin, Bruce (August 1, 1997). "Among the Ruins". Anatomy of Restlessness: Selected Writings 1969-1989. Penguin Books. ISBN 110150319X. ↑ Masood, Salman (11 February 2018). "Asma Jahangir, Fearless Pakistani Rights Activist, Dies at 66". The New York Times. ↑ "Veteran actor Qazi Wajid passes away". The Express Tribune. Retrieved 11 February 2018. Wikimedia Commons has media related to February 11 .